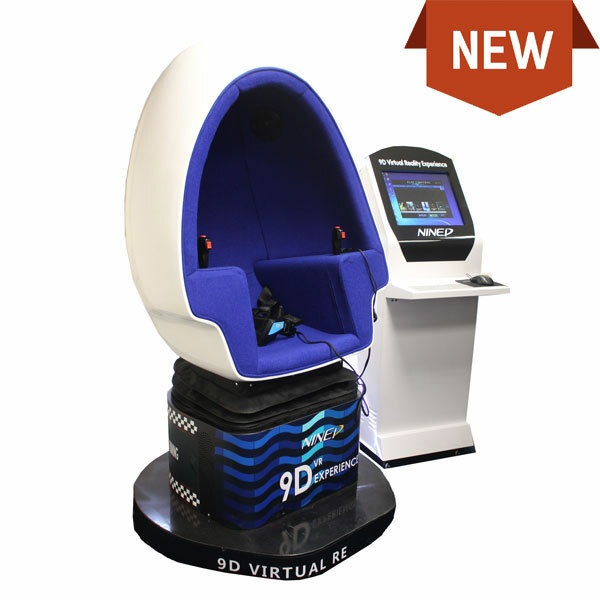 Brand new imported into the UK, this egg shaped 9D virtual simulator is perfect for arcade and retail environments. Used in conjunction with the headset, the user can be immersed into a realistic, simulated VR gaming experience. 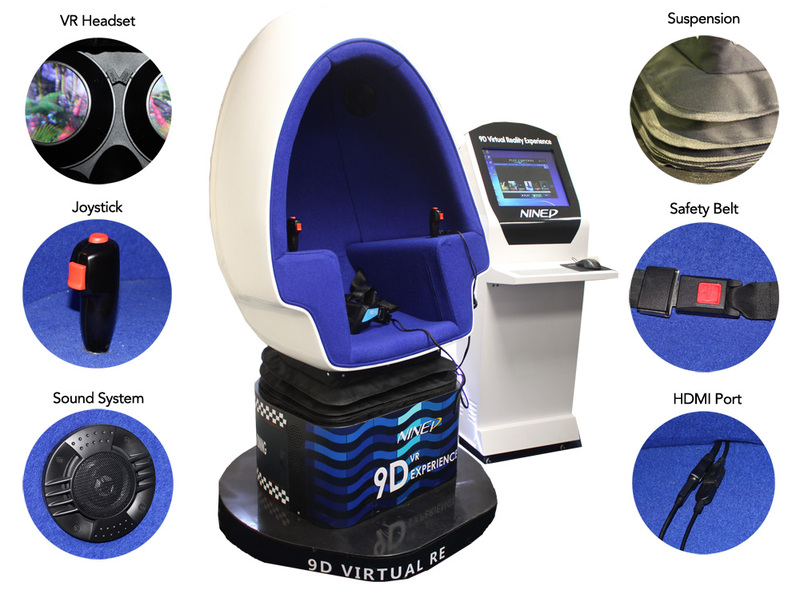 9D virtual simulation is increasingly popular, and with advancing technology is becoming more utilised within the arcade and retail industry. Customers no longer have to visit a theme park to acquire a thrilling ride, as they can experience a thrilling experience for the fraction of a cost at a more convenient location. How does it work? The customer selects a chosen game before sitting inside the 9dVR pod, after placing the vision headset on, will acquire 1080p High Definition vision ranging 150′. The chair will move only fractionally, yet the feeling combined with the visuals convince yourself you’re moving dramatically! There are fans built into the pod to make it feel like wind whilst you are moving. For those who take an interest in the gaming side, there is also a joystick for you to use in combination with the VR experiences to select, shoot, and interact with visuals on screen. The 9DVR comes pre-loaded with more than 20+ virtual reality games to choose from, varying from thrilling rollercoasters, to scary hospitals, to the more gentle santa sleigh. It provides a unique gaming experience for all ages. Extra games can be purchased online. Prices vary.